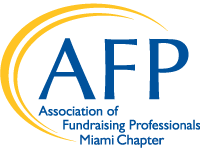 Join the CFRE Refresher Course January 16-17, 2020 to identify any gaps and refresh your fundraising knowledge! Do you have what it takes to be a Mentor? Join our program and make a difference today!